The wet weather on Thursday disrupted the U.S. Open schedule for the rest of the weekend, but the USGA is hoping to get as much as the third round completed Saturday evening at Oakmont as possible, with the 67 golfers remaining in the field split into threesomes that will go off the first and tenth tees as the day progresses. 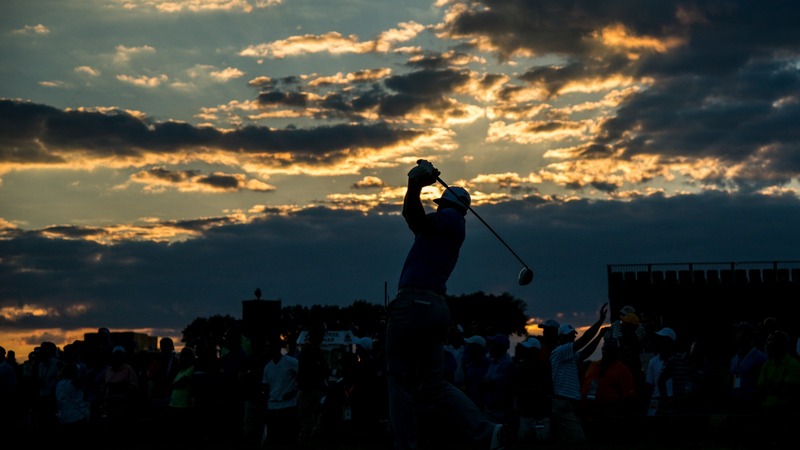 The third round of the U.S. Open Saturday will be televised on Fox. You can watch a live stream of the action using the Fox Sports Go app, or watch featured group coverage at USOpen.com. Jordan Spieth – 3:22 p.m.
Jason Dufner – 3:22 p.m.
Graeme McDowell – 3:33 p.m.
Jason Day – 3:33 p.m.
Bryson DeChambeau – 3:55 p.m.
Bubba Watson – 3:55 p.m.
Danny Willett – 4:06 p.m.
Zach Johnson – 4:17 p.m.
Adam Scott – 4:17 p.m.
Lee Westwood – 4:28 p.m.
Louis Oosthuizen – 4:28 p.m.
Angel Cabrera – 4:28 p.m.
Jim Furyk – 4:39 p.m.
Shane Lowry – 4:50 p.m.
Gregory Bourdy – 4:50 p.m.
Sergio Garcia – 4:50 p.m.
Scott Piercy – 5:01 p.m.
Andrew Landry – 5:01 p.m.
Dustin Johnson – 5:01 p.m.